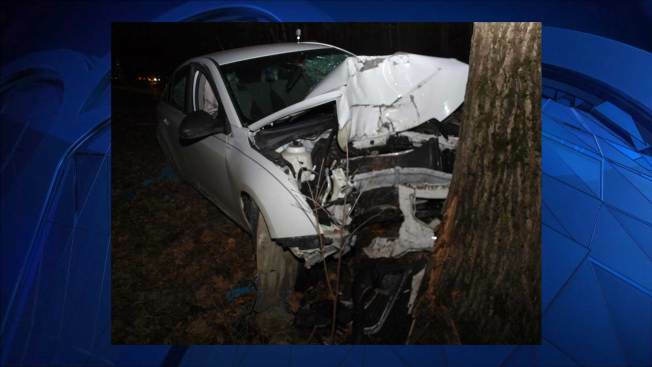 Police are investigating an alcohol-related car crash last night in Bath, NH, that left a young male passenger dead when the car he was riding in lost control and struck a tree. The 28-year-old driver, identified as David B. Aldrich of Woodville, NH, has been charged with aggravated driving while intoxicated, according to police. Police say Aldrich was driving a 2011 Chevrolet Cruz westbound on Route 302 when the vehicle approached a curve. The vehicle left the roadway, striking a tree. Police said there were two juvenile passengers, identified only as male and female occupants. All three were taken to Cottage Hospital in Woodsville for treatment. The male passenger died at the hospital. both the driver and female passenger were later taken to Dartmouth Hitchcock Medical Center for additioanl treatment. Police said Aldrich will be required to appear in Grafton Superior Court before May 21st to answer to the charge. Local and state police are investigating the crash. Police said anyone who may have witnessed the crash should email investigator Greg Dube at the New Hampshire State Police-Collission Analysis and Reconstruction Unit at greg.dube@dos.nh.gov.